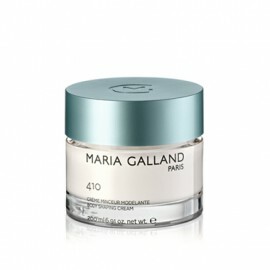 Self-awareness, joie de vivre and personality: these are what Maria Galland Paris has been standing for since it was founded more than 50 years ago. This wonderfully light gel cream, full of valuable ingredients, is so well absorbed by the skin th.. Gift Set with 100 Eye Cream 15ml + 96A Face Cream 20ml + 65A Eye Makeup Remover 50ml. Maria.. Gift Set containing 1020 Eye Cream 15ml + 1000 Face Cream 15ml + 65A Eye Makeup Remover 50ml. ..
Silky fresh anti-stress night cream for imbalanced skin This energising skin care cream reduces t..
A true ray of hope: this incredibly silky SPF 15 cream is specifically designed for skins that tend .. 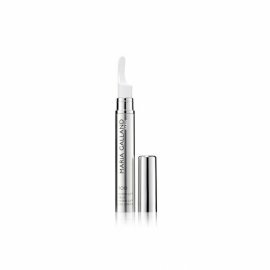 Highly concentrated Serum with an anti-aging and anti-pigmenting effect This serum fights against.. Treatment mask with "lifting" effect for more resilience This iridescent, gently surfac.. This gentle lotion with a yogurt-like texture contains natural nutrients such as microfine yogurt po..
Rich skin care cream with balancing and soothing action With a complex of vitamins and plant extr..
Special T-zone Cream , which helps to restore the natural lipid balance of the skin. Eliminates.. This powder, with a light glimmering effect, accentuates the tan and gives the face and décol.. The magic stick for all skin shades Practical make-up stick with SPF 30, for a harmonious and lig..
ntensive moisture, smoothed wrinkles, refined pores, concealed imperfection, a velvety complection, .. 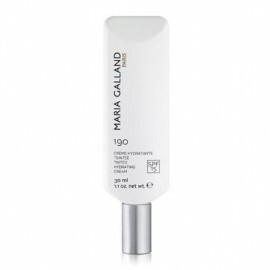 Protective anti-ageing facial sun care for fairer, more sun-sensitive skin This high-performance .. 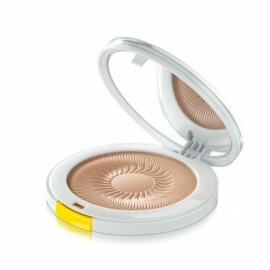 Protective anti-ageing sun care with SPF 50 for particularly sun-sensitive skin This high-perform.. Protective anti-ageing sun care with SPF 25 for face and body This high-performance sun care with..
Nourishing self-tanning cream for face and body This intensive self-tanning care gives the skin a..
Purifying mask for every day and every skin type This creamy purifying mask with strawberry extra..
Sun cream with SPF 15, is ideal for complexions which are already tanned and is absorbed perfectly b..
202 AFTER SUN GEL FOR FACE AND BODY supplies the skin – thirsty after exposure to the sun &nda.. The new after-sun mask provides intensive care and effective regeneration. Three active-ingredient c..
Soothing day and night care to strengthen sensitive and upset skin Thanks to a relaxing and calmi.. Highly effective serum for sensitive and irritated skin This mild serum is rapidly absorbed, prov.. 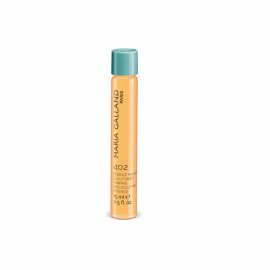 The new oil 215 GENTLE SOOTHING FACIAL OIL soothes irritated skin with a highly effective SOS comple.. This gentle cream mask is ideal for sensitive and irritated skin. Thanks to innovative complexe..
An exclusive, light cell-protection serum with an exceptionally high antioxidant effect for sensitiv..
An innovative cell-protection cream with a high antioxidant effect and SPF 8 for sensitive skin. ..
22J CELL-PROTECTING PRIMER with SPF 20 offers innovative, multiple protection against UV rays, ..
22N CELL-BOOSTING SERUM supports the cell management of naturally beautiful skin: special a.. Rapidly absorbed non-greasy hand cream This special care for hands and nails leaves the skin silk..
Natural lifting with a 3D effect: The highly concentrated intensive care offered by 249 PROFILIFT.. Toning 24-hour care with 3D effect, which counteracts loss of skin firmness With its silky smooth..
4-week toning course of treatment with 3D deep action offers the skin renewed firmness unteract a.. Balancing day and night care to regulate sebum production This skin care cream balances the sebum.. 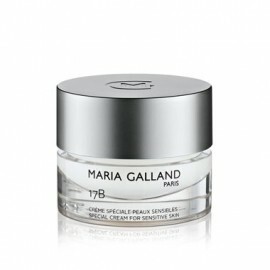 Efficient and gentle pore refiner With its active ingredients, this innovative pore refiner minim.. This gentle, but efficient exfoliating mask dissolves dead skin cells, impurities and make-up, thus ..
A HIGHLY ACTIVE SERUM WITH A COMBINATION OF BOOSTING INGREDIENTS FOR MORE RADIANCE The boosting i..
Anti-ageing day and night care with an innovative cocktail of active ingredients for first fine wrin.. Intensive care mask, specially designed for professional care. Cream texture. Tired, dul..
A HIGHLY EFFECTIVE ESSENCE FOR THE BODY TO IMPROVE CELLULITE AND SMOOTH THE SKIN’S APPEARANCE ..
A HIGHLY EFFECTIVE ESSENCE FOR THE BODY TO SCULPT THE SILHOUETTE AND INCREASE THE TONE OF THE SKIN ..
A HIGHLY EFFECTIVE ESSENCE FOR THE BODY TO FIRM AND TONE THE SKIN Highly concentrated active ingr.. Refining cream exfoliator for fast deep cleansing of the skin This cream exfoliator with finely r.. The "cream on the cake" for your silhouette The creamy texture of this precious body pr..
For attractive contours With its luxurious texture, this superior serum makes for even body con.. The softly melting exfoliating sensation A mousse exfoliator that melts on the skin like an exqui.. 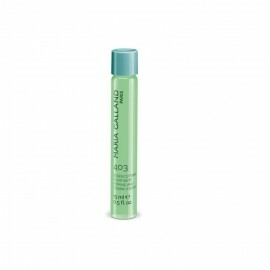 The intensive treatment for clearly defined contours This superior body gel combines efficacy and.. The beauty elixir with an instant effect This dry oil, an exclusive new development from MARIA .. This exclusive and innovative body oil is an homage to beauty: The composition of luxurious oils bew..
An homage to femininity For sophisticated feminine flair with an alluring and seductive touch, yo..